Israeli scientists stumbled upon some interesting findings while studying the effects of cannabis on children suffering from epilepsy. Many of the test subjects also struggle with autism and a number of male autistic patients have started speaking after years of not saying a word. It turns out that cbd oil for autism may be a genuine therapy to combat many of the conditions. CBD oil has been a therapy for people dealing with seizures for years now. However, these findings showed that people with autism can have an abundance of cannabinoid receptors on their white blood cells to make up for a lack of phytocannabinoid production. The findings suggest that autism is directly tied to the endocannabinoid system. A study published in 2013 compared the number of cannabinoid receptors on blood cells in autistic children to aged-match healthy children. Researchers discovered a stark difference between children with autism and those without. He pointed to the semblance of a normal life for his subjects. Things that most families take for granted, like riding a bus to school without a helmet, become significant achievements for kids accustomed to protective headgear and private transportation. And while these changes may sound small, they represent an end to the struggle with episodes of violence, panic, and various other major challenges related to the disorder — the difference after cannabis can be remarkable. Obviously, much more research must be conducted before scientists can know for sure that marijuana can benefit autistic conditions or what exact applications of cannabis would help the most. 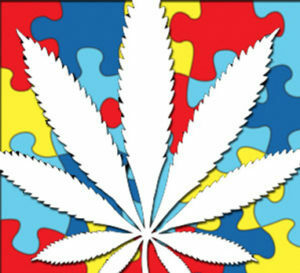 Is it surprising to hear that marijuana may be a missing link to helping people with autism?